When hiring a commercial cleaning company, you want to know that you are making the right decision. After a few tries, you can start to evaluate whether they are the right company for you. 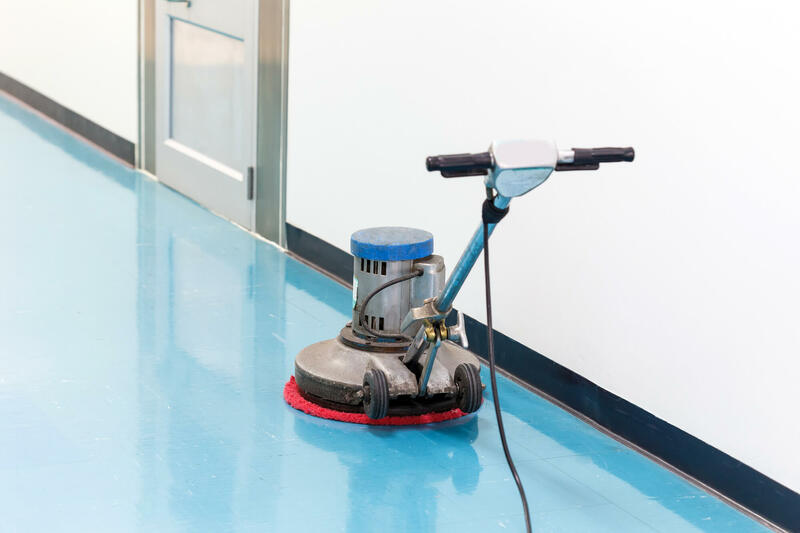 We have put together a quick guide that will help you see whether you have hired the right commercial cleaning service company for your business. Performance. Does the commercial cleaning company come when scheduled, with the proper number of people to do the job? Satisfaction. Are the areas contracted for clean and tidy? Are there areas where performance falls below your expectations? Green cleaning techniques. Does the company incorporate green cleaning techniques that use the least hazardous and safest cleaning products? Do they have systems in place to not cross contaminate areas they clean? Accountability. Does the company have quality systems in place to verify that scheduled work is performed to spec and that employees are doing their jobs? Service. If you have a complaint or concern, how does the company respond? If you need emergency service, are they available? Customer service. Are you able to reach customer service personnel any time through a variety of media (phone, email, online chat) and receive a prompt, helpful response? Meet your needs. If your business has expanded or has acquired new equipment since you signed your contract, your needs for service frequency or specialized cleaning may have escalated. Need for other services. Many versatile commercial cleaning companies can provide services for both the inside and outside of your building. Do you need other services, such as window cleaning, parking lot cleaning, and steam cleaning of carpets included in your contract? Price. Do you get the value you expected for the price you pay? Are you Receiving the Value You Expect? In evaluating your commercial cleaning service, the question to ask yourself is whether you got the value you expected for the price you paid. If your answer is “yes,” and you are happy with other aspects of performance, re-signing will maintain your relationship with a great company. For good value and competent state-of-the-art commercial cleaning services, contact Bearcom Building Services for an evaluation and one of our commercial floor cleaning quotes. Employees are paid to do their job, and if you leave it up to them to clean, they’ll be neglecting their day job. You’re going to need to hire somebody to keep your workplace clean, for the sake of your employees’ health and the performance of your business. That’s why it’s important to think about hiring commercial cleaning services, who can deal with the problem for you. Here are 10 benefits to hiring professional cleaning services that you might not have considered. We’ve already touched upon the fact that without adequate cleaning staff in place, it’ll be left up to your staff to clean – or it just won’t get done. If your staff is being forced to clean up every day, that will cut down the amount of time they have to work on what they’re supposed to, their jobs. Are you paying your professional workforce to clean? Hiring commercial cleaning staff can increase the productivity of your workforce, as they won’t be left with the job to do themselves, cutting into their own performance. With the average work PC over 20,000 times dirtier than an average toilet seat, it’s important to get the right workplace cleaning in place. Absent employees can hit your productivity, but worse still is the fact that a dirty work environment can leave germs to spread from one to another. Without adequate cleaning in place, your workplace could be contributing to an increasing number of regular staff absences due to illness. Why put up with it? One of the benefits of hiring a cleaning service is reducing the likelihood of your staff catching illnesses at work. You want to give off the best impression to everybody that visits your workplace. Keeping the place clean and tidy will play a big part in making a good first impression. If visitors see layers of dust, bins overflowing, filthy toilets and a rack of dirty washing in the communal kitchen, are they going to want to stick around? Hiring a professional cleaning service can help to change that. A clean and professional working environment can have a real impact on the impression you make with new clients visiting your business, so it shouldn’t be neglected. You can find out some additional ways to make a good impression with new clients here. No one really wants to pay for cleaning, but it can save you money in the long term. We’ve already touched on some of the ways – fewer absences, increased productivity – but have you thought about some of the others? Take maintenance costs, for example. If you’re running an AC unit, how often does the filter get changed? How much dust are you collecting in your PCs or, worse, more expensive manufacturing equipment? Dust can clog all kinds of machinery, reducing their effectiveness and increasing the likelihood of damages. Without a commercial cleaner, who is going to be left responsible for these issues? It’s just one example of a much bigger issue – if you fail to keep your workplace clean, the costs can come back to haunt you. Commercial cleaning isn’t the most obvious way to improve morale for most organizations, but why shouldn’t it? Nearly 90% of employees in the United States feel like they don’t have a passion for their job. Ask yourself this: would you want to go to work in a workplace that was dirty and clearly unloved by the management? With this in mind, it’s important to work towards improving staff morale. Demonstrating your organization’s desire to ensure a happy, healthy and clean working environment for your employees can demonstrate how much you value your workforce. It costs money to train cleaning staff, money that could be better spent on your main workforce. Hiring a commercial cleaning firm can provide you with the experience, without the cost or time involved to train staff yourselves. Commercial cleaners will be able to cope with the pressure of any cleaning demands, whether it’s a typical office, or if you need cleaning in a more specialized environment. 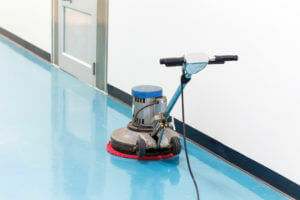 You can offload the pressure and the cost of training and other cleaning problems, like OSHA regulation compliance, to a professional commercial cleaning service. You’re not cleaning professionals, so you’re not likely to keep up to date with the latest advances in technology and cleaning materials. Why would you? Let somebody else think about that. Hiring a commercial cleaning firm can deal with this problem for you. You can leave the equipment and cleaning materials they need to complete their job up to them, covering the cost in your agreed cleaning contract. New technology usually leads to quicker and better cleaning, too. Reduced cleaning times mean a reduced bill. Do you have a busy 9-5 workforce, or are you more active at night? Whatever your own requirements, a professional cleaning firm can work around them to get the job done. Each employer is going to want a specialized cleaning schedule designed for them. Commercial firms understand this, and you can arrange for them to clean everything at a time that suits you. Not only that, you can specify if you want certain areas not to be cleaned on a regular basis, which might be required in sensitive working environments. With an agreed cleaning contract with any commercial cleaning firm, you can feel secure knowing that the job will be completed properly. You won’t have to worry about absenteeism, as you won’t be reliant on one janitor. And when things go wrong, you can work within the contract to ensure a prompt and acceptable solution. The firm you hire will want to do a good job, as they’re being paid to do it, and they won’t want to risk that contract. The security of a contract with your cleaning firm will help reduce the likelihood of problems occurring. It’s not only a good thing for your business to keep the place clean – it’s vital. With the average workplace desk being a magnet for bacteria, you need the benefits of hiring a cleaning service to combat them. The benefits don’t end with your employees’ health. A clean workplace can boost morale and productivity and show that you’re a responsible employer. If you’re hiring a commercial cleaning firm, you’re also going to save on the cost of hiring and training cleaning staff yourselves. Convinced you? Take a look at the commercial cleaning services we can offer your business or organization here.